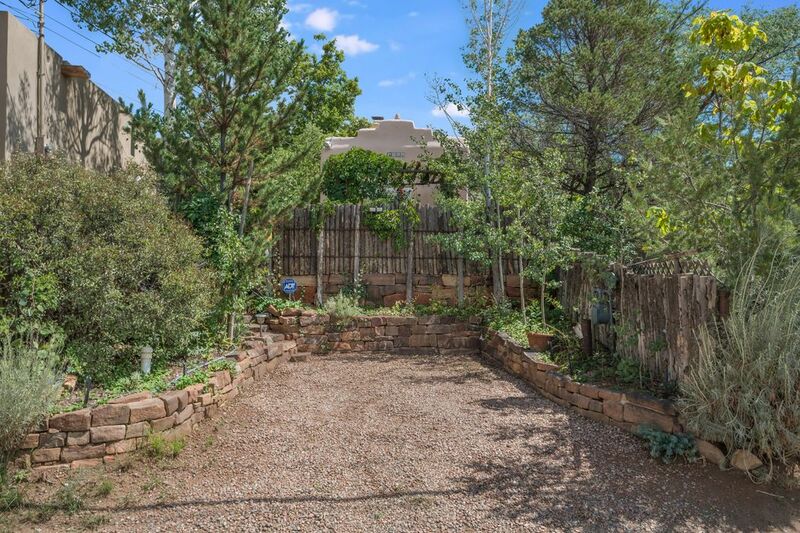 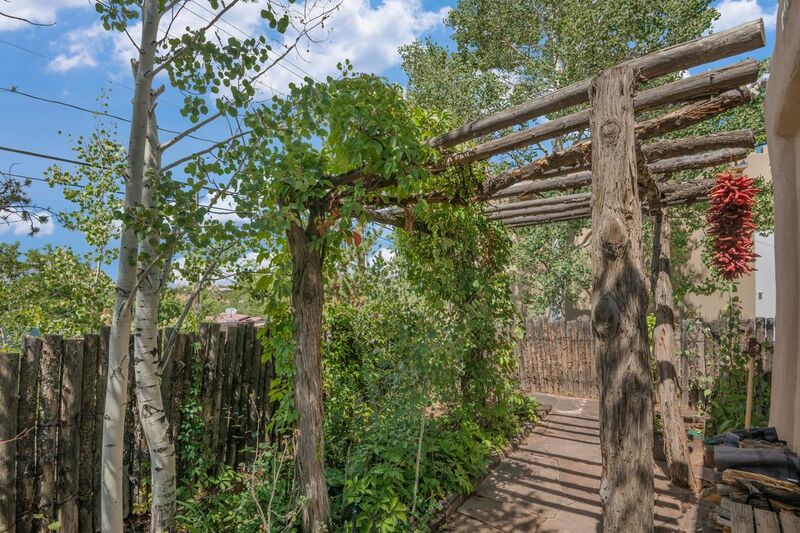 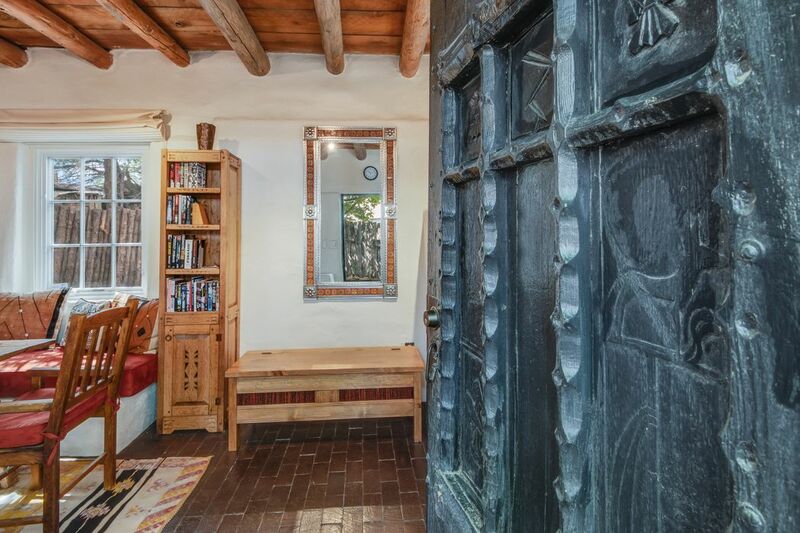 1066 Camino San Acacio, Santa Fe, NM 87505 | Sotheby's International Realty, Inc.
$500,000 1 Bedroom1 Full Baths925 sq. 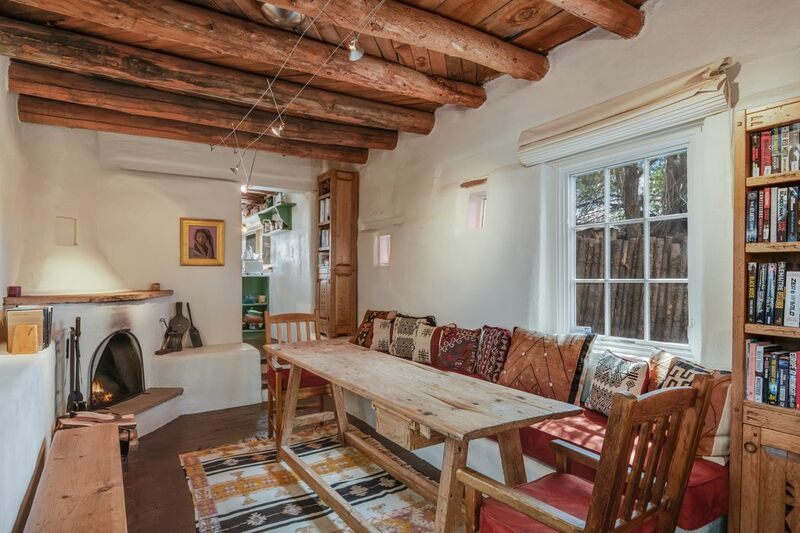 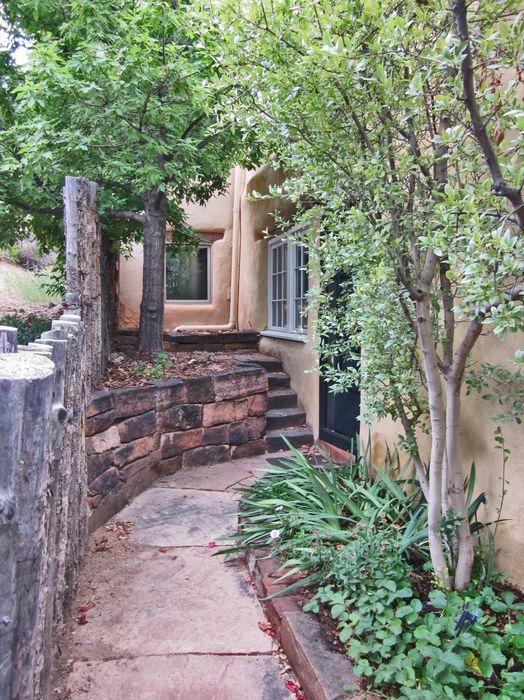 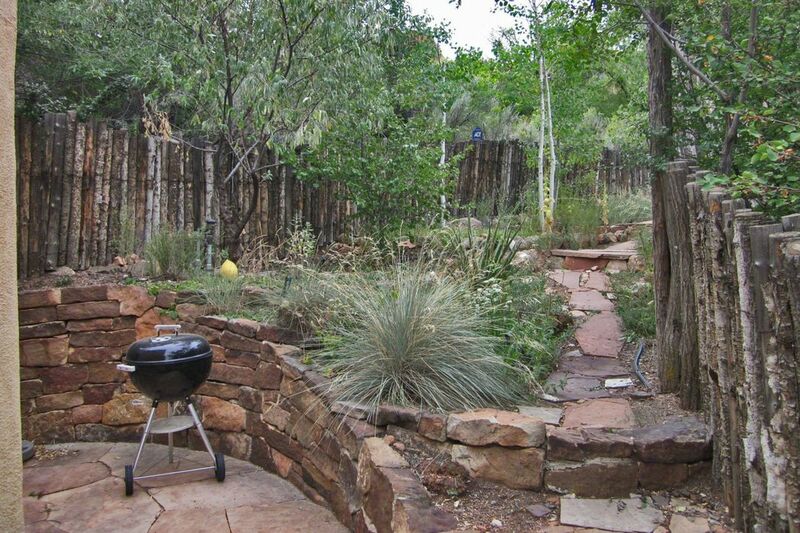 ft.
On a quiet Eastside lane just blocks from Canyon Road and the Plaza, this authentic gem is a rare find in Santa Fe. 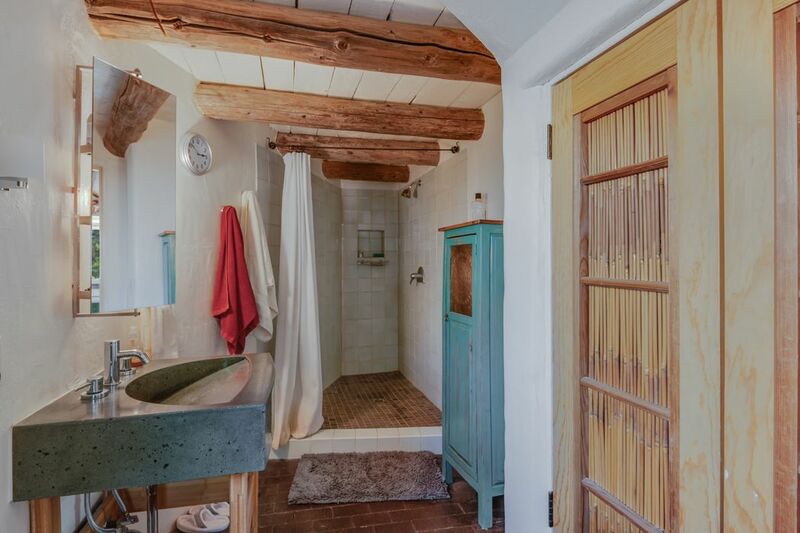 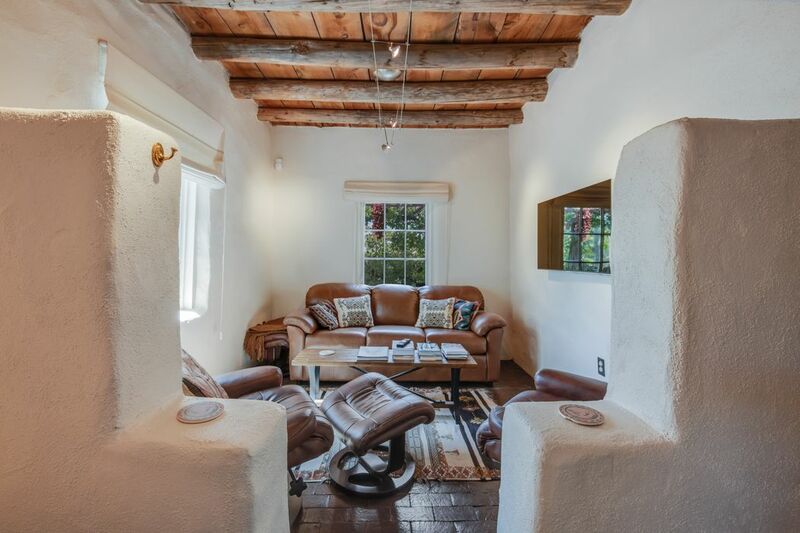 A delightful one-bedroom, one-bath cottage, it features many of the classic finishes and charm of a vintage Santa Fe home: vigas, hardwood and brick floors, plaster walls, a kiva fireplace, and bancos. 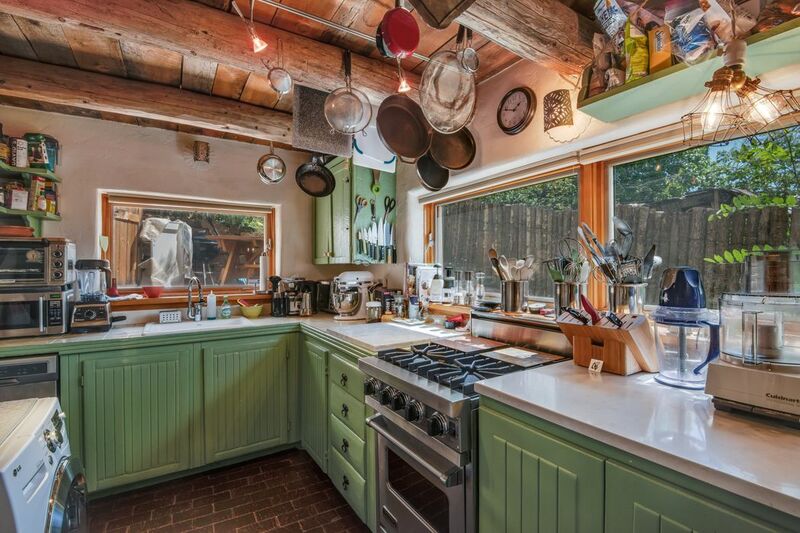 Its unique floor plan includes a lofty bedroom perched above inviting public spaces that include a living and dining area, a study or media room, and an updated kitchen with colorful cabinetry and stainless-steel appliances. 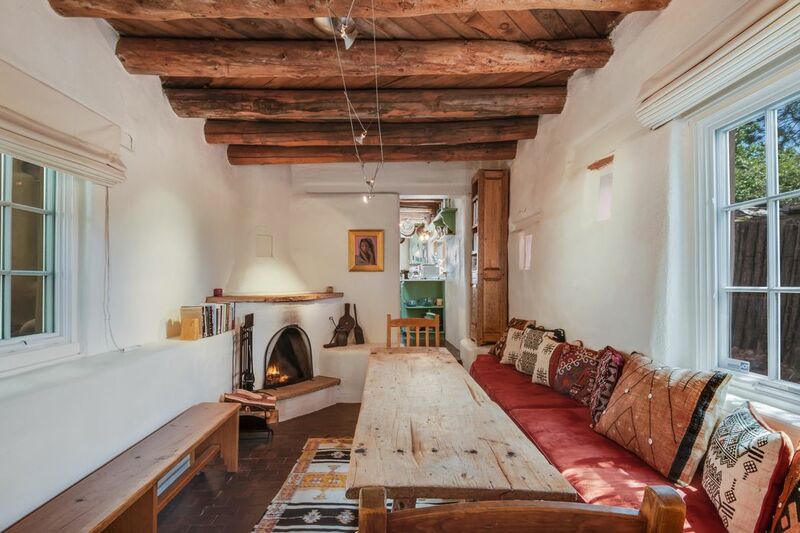 Radiant heating joins the fireplace in maintaining a pleasant warmth year-round. 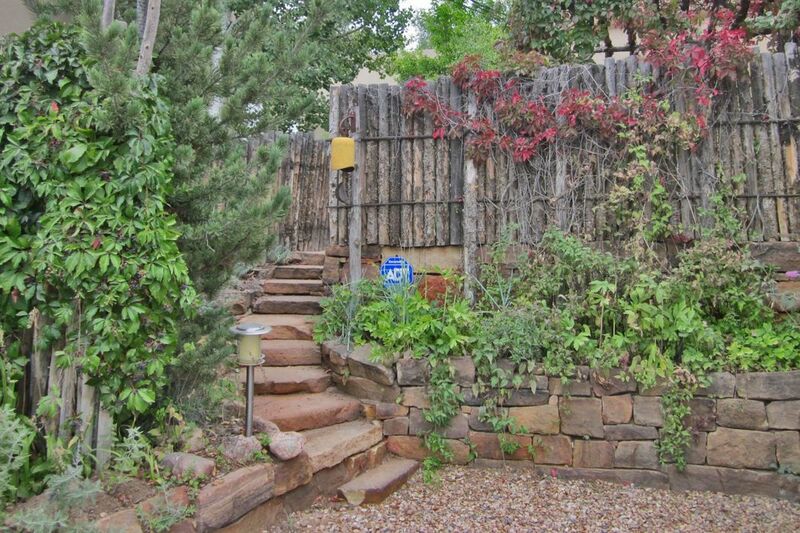 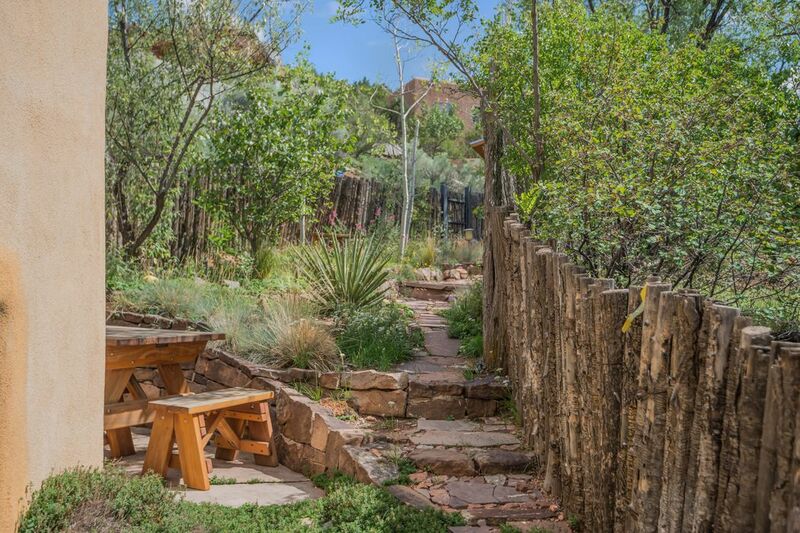 The home is tucked amid vibrant landscaping, flagstone patios, and aspen and pine trees. 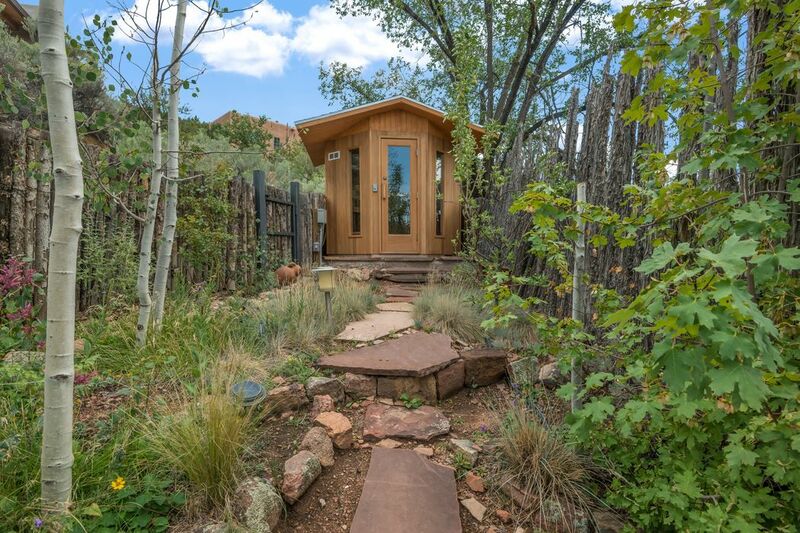 A lighted steppingstone path leads to a private sauna nestled at the rear of the fenced property. 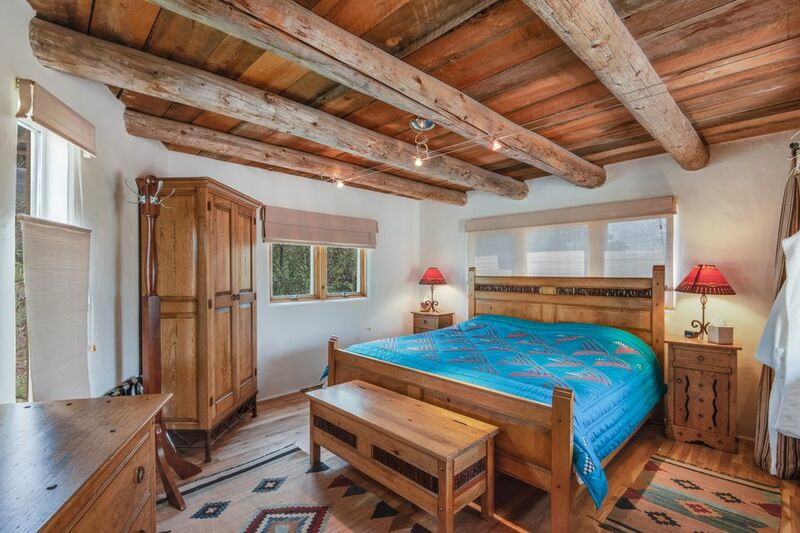 The home is being offered fully furnished, allowing for the creation of a true turnkey retreat.